The documentary Leaving Neverland is a good example of this, detailing the accounts of two men who claim to have been sexually abused by the singer in their youth, while Michael Jackson's family vehemently deny all allegations. Michael Jackson epitomized the role of the saviour; a Christ-type figure, with arms outstretched for all the children of the world, while at the same time he admitted to sleeping with children in the same bed. He got away with this behaviour because of his child-like image. What we are now seeing, with the transit of Pluto, Saturn and Ketu, coming together in Sagittarius, is the unavoidable truth which we can no longer turn a blind eye to. ​For Michael Jackson fans, however, the documentary may as well claim Christ himself was a child molester, such is the strength of the saviour archetype in his fans' eyes. This archetype is represented by the Sun, our luminary, shining brightly for everyone. Michael Jackson was born when the Sun was transiting sidereal Leo, during a full Moon in Aquarius. This shows his big heart and humanitarian stance; a wish to ‘heal the world’. How could someone with such love in his heart for children also sexually abuse them? 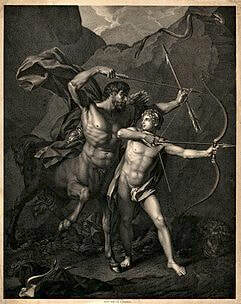 ​​The symbol for Sagittarius, the centaur, is a half-man, half-beast figure, aiming a bow upwards. Although we strive to better ourselves, aiming our arrows higher than where we are, we also must acknowledge our animal nature and baser instincts, our darker drives and desires. The arrow represents hitting the mark, while the current transits of malefic planets in Sagittarius are showing us how far off target we can be, particularly in relation to the truth. We must make peace with the dichotomy of being saintly AND sinful if we are to integrate the paradoxes presented. Someone can do 'good' and 'bad' things. We all do. We all have lights and shades we must integrate if we are to take back our projections from those who express these in more extreme ways. ​Ultimately, Sagittarius is about light triumphing over darkness; a time of year these themes are pronounced; at Christmas, when the Sun transits sidereal Sagittarius. Michael Jackson's birth time is suspect due to conflicting reports, but the time that was used by the late Chakrapani Ullal (who consulted with Michael Jackson) is 19.33, on August 28, 1958 in Gary, Indiana. I will use this chart because the Moon sign and rising sign are the same (Aquarius), and even if the time is wrong, the Moon will remain in Aquarius. This places the Sun, the ruler of the 7th, and a retrograde Mercury, ruler of the 5th and 8th, in the 7th house. Venus, the natural 'significator' of the 7th house of relationships, is placed in the 6th house of troubles and enemies. One obvious expression of this is the challenges (6th) and secrets (8th) in his relationships (7th) to children (5th). Venus and Mercury are particularly impacted in the 6th and 7th from the ascendant. There are certain houses where planets feel like they are dying. This is known as marana karaka sthana(1). Marana means ‘death’, while karaka means ‘signification’ and sthana is a ‘place’. This challenges the houses Venus and Mercury rule, which includes his relationships with children (5th) and his sexuality (8th). Mercury also rules his Aruda Lagna (AL = his image) in Gemini and Upapada Lagna (UL = committed relationships) in Virgo. His AL in Gemini is how we see him; the Mercurial, eternal child, while his UL in Virgo is also ruled by Mercury, showing his relationships with youths. According to James Safechuck, one of his accusers in the documentary, they even performed a marriage ceremony when James was still a young boy. Child abuse accusations would have had a huge impact on Michael Jackson since 1991; as soon as he began a Mercury 'planetary period'. The first accuser came forward in 1993. The current transits of Pluto, Saturn and Ketu, in the opposite sign to his AL in Gemini, are having an impact on his image once again. If there's one thing we know from astrology, it's that things come around again and again. He died during a period of Ketu/Venus which brings up another argument you could make for his chart: that of the nodal positions. Using the mean nodes, Rahu and Ketu would have been placed in Libra and Aries (see chart), and in Virgo and Pisces if using the true nodes. Although one could make an argument for both, Ketu is placed in gandanta in either; a complex juncture between Pisces and Aries that would have challenged his life from 2008; once he began a Ketu major period. Using the mean nodes, Ketu would be placed in the 3rd, and Rahu in the 9th - yet another marana karaka sthana position; this time for Rahu, the co-ruler of his Aquarius ascendant. Rahu's position in either the 8th or 9th house show some complex themes around sexuality (8th) and/or truthfulness (9th). Rahu is placed with Jupiter (ruling his 2nd house of speech), using the mean nodes, and shows the possibility of us all being misled. The sub-cycle of Venus was active when he died, and Venus rules the day of the week he was born on (Friday). Venus is poorly placed, as we have seen, destroying Venus' significations, which include his life (day ruler), his happiness (4th) and his faith (9th). When we add the sub-period of Venus to Ketu's major period at the time of his death in 2009, this would have compounded his existential crisis. ​​Looking at the release of the Leaving Neverland documentary, it brings up another question in relation to chart analysis: can we still use the birth chart into the future once the person has died? I believe we can. His legacy lives on, which involves everything he did while alive, including his unusual behaviour with young boys. The planetary period activated in his chart for the release of the documentary on January 25, 2019 was Venus/Sun. I have previously alluded to Venus' challenging role in his chart, while the Sun is the ruler of the 7th, placed in the 7th. The Sun brings up these issues even after his death, highlighting his unusual relationships, while also triggering Mercury once again – a Mercury which first brought up scandals in the 1990's, and is once again dismantling his child-like image.